4150101 HM250-2 KOMATSU HM250-2 Articulated Dump Truck. Spare Parts Catalog. Service (workshop) Manual. Operator's Instruction Manual. 4150102 HM300-1 KOMATSU HM300-1 Articulated Dump Truck. Spare Parts Catalog. Service (workshop) Manual. Operator's Instruction Manual. 4150103 HM300-1L KOMATSU HM300-1L Articulated Dump Truck. Spare Parts Catalog. Service (workshop) Manual. Operator's Instruction Manual. 4150104 HM300-2 KOMATSU HM300-2 Articulated Dump Truck. Spare Parts Catalog. Service (workshop) Manual. Operator's Instruction Manual. 4150105 HM300-2R KOMATSU HM300-2R Articulated Dump Truck. Spare Parts Catalog. Service (workshop) Manual. Operator's Instruction Manual. 4150106 HM300-3 KOMATSU HM300-3 Articulated Dump Truck. Spare Parts Catalog. Service (workshop) Manual. Operator's Instruction Manual. 4150107 HM300TN-1 KOMATSU HM300TN-1 Articulated Dump Truck. Spare Parts Catalog. Service (workshop) Manual. Operator's Instruction Manual. 4150108 HM350-1 KOMATSU HM350-1 Articulated Dump Truck. Spare Parts Catalog. Service (workshop) Manual. Operator's Instruction Manual. 4150109 HM350-1L KOMATSU HM350-1L Articulated Dump Truck. Spare Parts Catalog. Service (workshop) Manual. Operator's Instruction Manual. 4150110 HM350-2 KOMATSU HM350-2 Articulated Dump Truck. Spare Parts Catalog. Service (workshop) Manual. Operator's Instruction Manual. 4150111 HM350-2R KOMATSU HM350-2R Articulated Dump Truck. Spare Parts Catalog. Service (workshop) Manual. Operator's Instruction Manual. 4150112 HM400-1 KOMATSU HM400-1 Articulated Dump Truck. Spare Parts Catalog. Service (workshop) Manual. Operator's Instruction Manual. 4150113 HM400-1L KOMATSU HM400-1L Articulated Dump Truck. Spare Parts Catalog. Service (workshop) Manual. Operator's Instruction Manual. 4150114 HM400-2 KOMATSU HM400-2 Articulated Dump Truck. Spare Parts Catalog. Service (workshop) Manual. Operator's Instruction Manual. 4150115 HM400-2R KOMATSU HM400-2R Articulated Dump Truck. Spare Parts Catalog. Service (workshop) Manual. Operator's Instruction Manual. 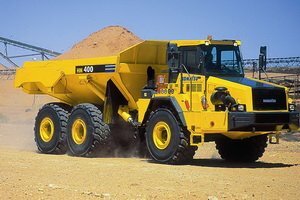 4150116 HM400-3 KOMATSU HM400-3 Articulated Dump Truck. Spare Parts Catalog. Service (workshop) Manual. Operator's Instruction Manual. 4150117 HM400-3R KOMATSU HM400-3R Articulated Dump Truck. Spare Parts Catalog. Service (workshop) Manual. Operator's Instruction Manual. 4150119 BP500-7 KOMATSU BP500-7 Towing tractor. Spare Parts Catalog. Service (workshop) Manual. Operator's Instruction Manual. 4150120 DWT031 KOMATSU DWT031 Towing tractor. Spare Parts Catalog. Service (workshop) Manual. Operator's Instruction Manual. 4150121 WT150E-1 KOMATSU WT150E-1 Towing tractor. Spare Parts Catalog. Service (workshop) Manual. Operator's Instruction Manual. 4150122 WT250-1 KOMATSU WT250-1 Towing tractor. Spare Parts Catalog. Service (workshop) Manual. Operator's Instruction Manual. 4150123 WT250E-1 KOMATSU BP500-7 Towing tractor. Spare Parts Catalog. Service (workshop) Manual. Operator's Instruction Manual. 4150124 WT500E-1 KOMATSU WT500E-1 Towing tractor. Spare Parts Catalog. Service (workshop) Manual. Operator's Instruction Manual. 4150126 CD10R-1 KOMATSU CD10R-1 Crawler carrier. Spare Parts Catalog. Service (workshop) Manual. Operator's Instruction Manual. 4150127 CD20R-1 KOMATSU CD20R-1 Crawler carrier. Spare Parts Catalog. Service (workshop) Manual. Operator's Instruction Manual. 4150128 CD20R-2 KOMATSU CD20R-2 Crawler carrier. Spare Parts Catalog. Service (workshop) Manual. Operator's Instruction Manual. 4150129 CD30-1 KOMATSU CD30-1 Crawler carrier. Spare Parts Catalog. Service (workshop) Manual. Operator's Instruction Manual. 4150130 CD30R-1 KOMATSU CD30R-1 Crawler carrier. Spare Parts Catalog. Service (workshop) Manual. Operator's Instruction Manual. 4150131 CD60R-1 KOMATSU CD60R-1 Crawler carrier. Spare Parts Catalog. Service (workshop) Manual. Operator's Instruction Manual. 4150132 CD60R-1A KOMATSU CD60R-1A Crawler carrier. Spare Parts Catalog. Service (workshop) Manual. Operator's Instruction Manual. 4150133 CD60R-1AE KOMATSU CD60R-1AE Crawler carrier. Spare Parts Catalog. Service (workshop) Manual. Operator's Instruction Manual. 4150134 CD60R-1B KOMATSU CD60R-1B Crawler carrier. Spare Parts Catalog. Service (workshop) Manual. Operator's Instruction Manual. 4150135 CD60R-1BE KOMATSU CD60R-1BE Crawler carrier. Spare Parts Catalog. Service (workshop) Manual. Operator's Instruction Manual. 4150136 CD110R-1 KOMATSU CD110R-1 Crawler carrier. Spare Parts Catalog. Service (workshop) Manual. Operator's Instruction Manual. 4150137 CD110R-2 KOMATSU CD110R-2 Crawler carrier. Spare Parts Catalog. Service (workshop) Manual. Operator's Instruction Manual.